Welcome to our Notting Hill frame. 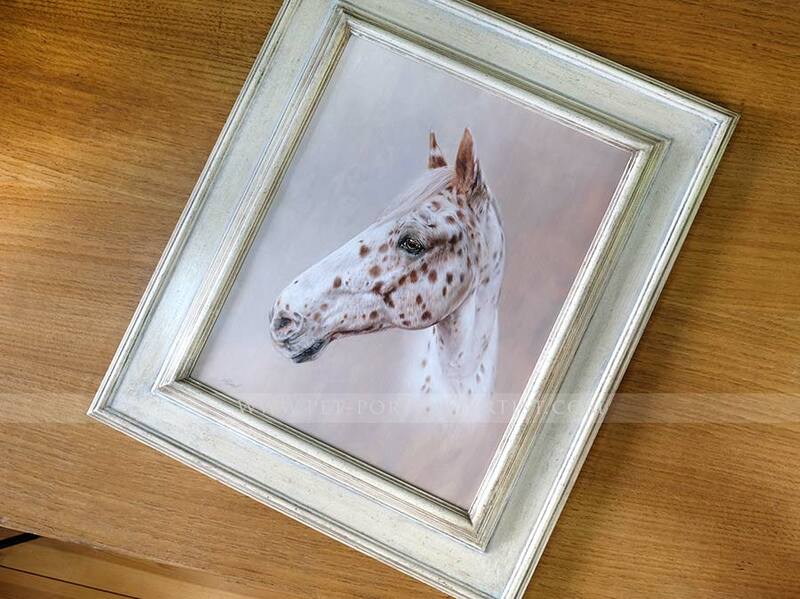 This is one of my personal favourite frames to go with our oil paintings. It also works well for our pencil drawings too. Our framer hand makes this frame from scratch, bespoke for each client. He hand finishes each one to the highest standard. 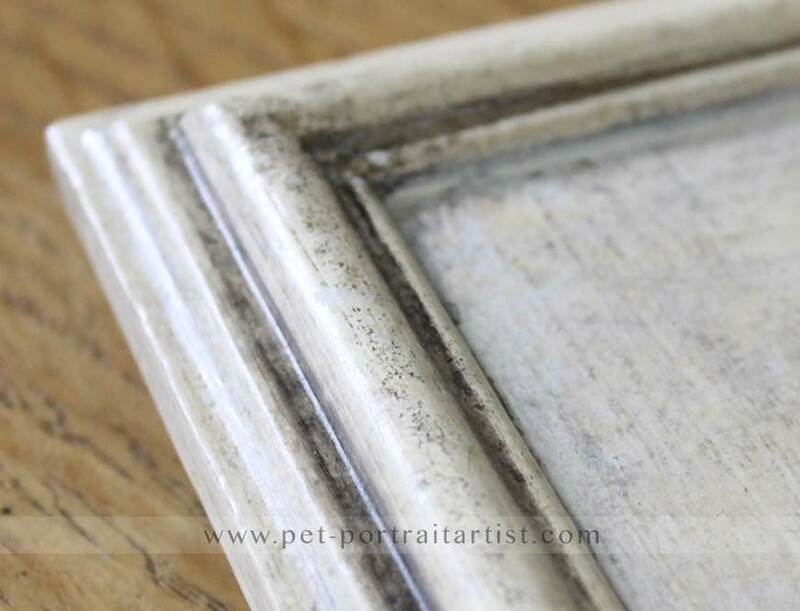 As you can see from the photos below it isn’t just a creamy white colour, it has a number of layers to create the beautiful distressed feel, giving the frame an oldly worldly feel. 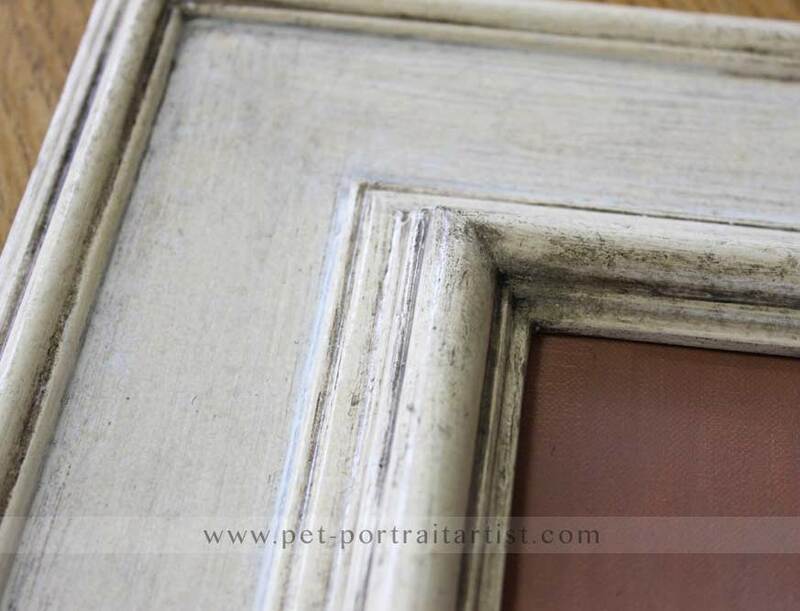 The colours of the frame work really well with the neutral colour pallet Nicholas uses for his oil paintings, as you can see form some of the photos I have taken below. 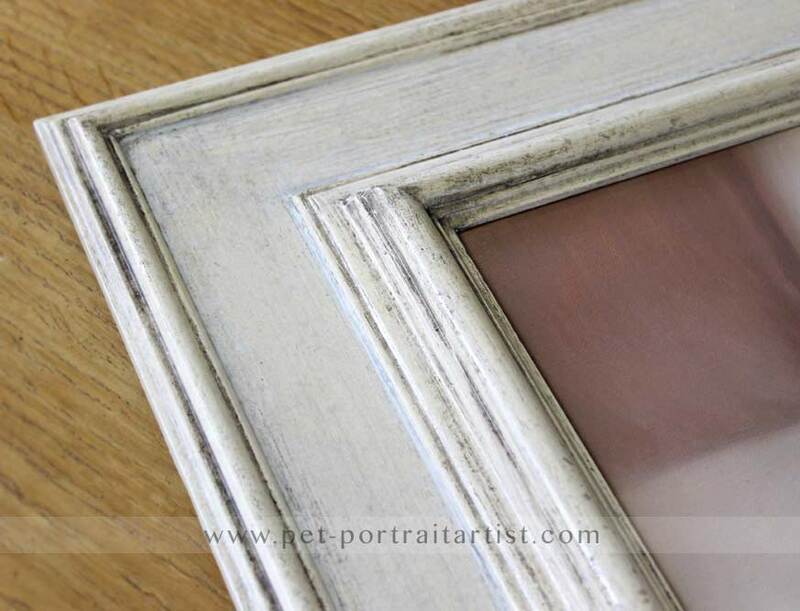 The frame has a lovely feel to it, and is solid in structure, but not too heavy in weight. 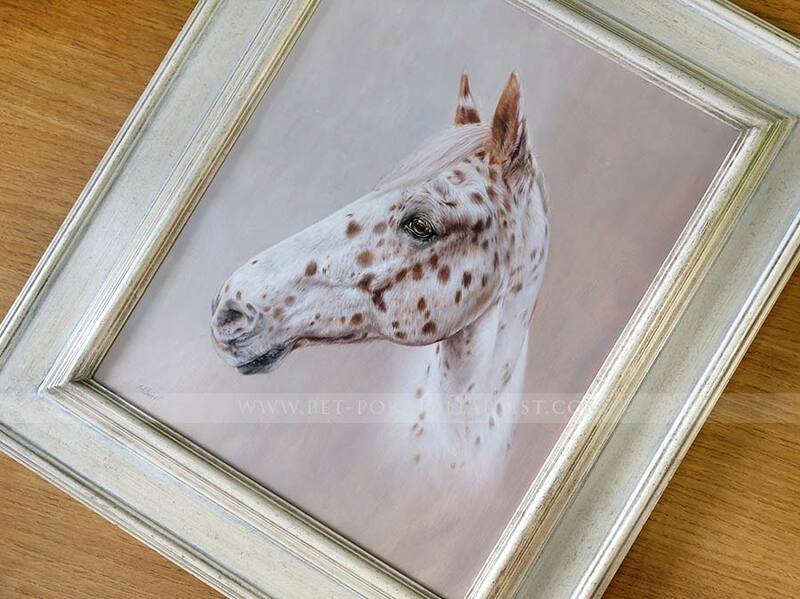 It is quite wide at slightly over 4 inches, however will suit most sizes of portraits due to its overall light tones. It wont feel to overbearing when displayed on the wall, its lovely and light and will suit most home décors. 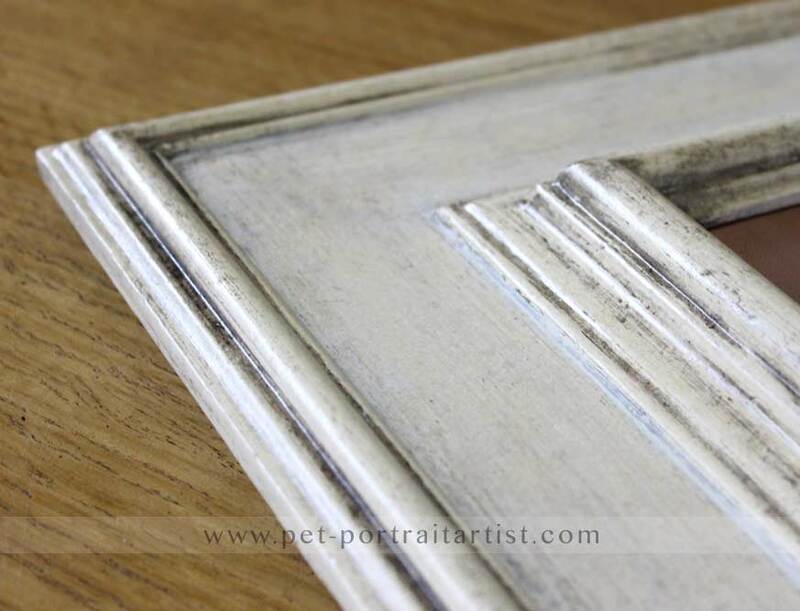 It is very similar to our Belgravia Frame, a similar design, however this one is slightly wider. 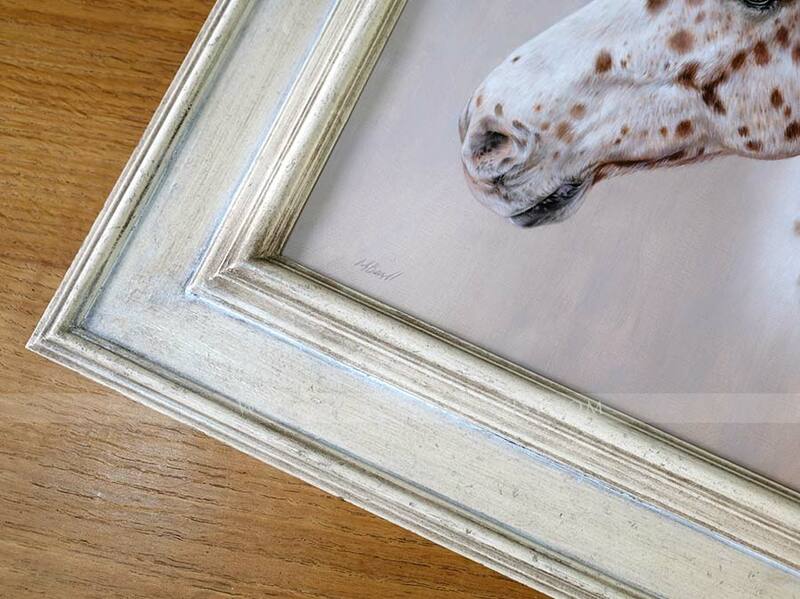 As our frames are made bespoke, our framer builds the sides of the frame to cover the depth of the canvas. 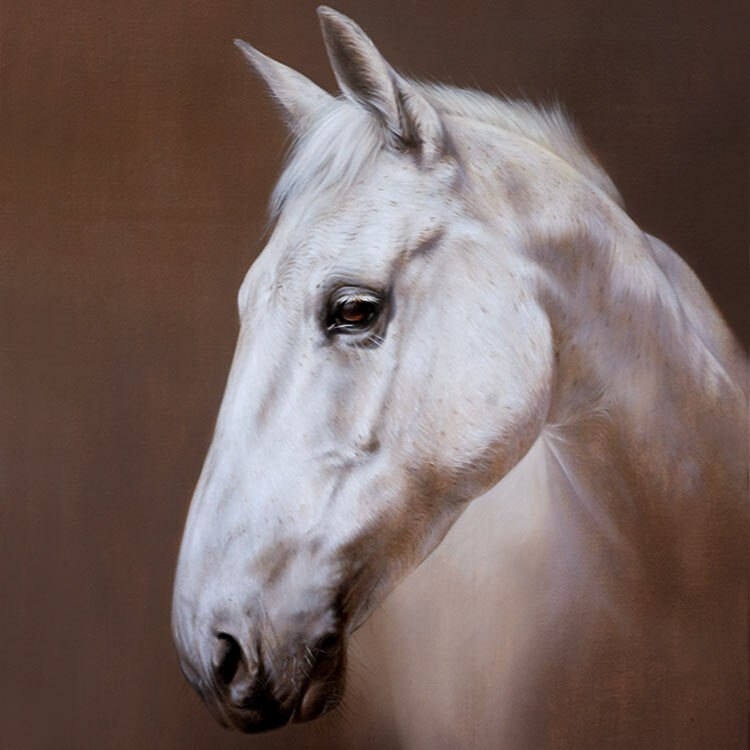 We use hand made gallery wrapped canvas which have a depth of 25mm and so our framers will always create a bevelled edge depth so that when the portrait is displayed on the wall and you look from the side, you wont be able to see the side of the canvas. We absolutely love this and not every framer will be able to do this for you. 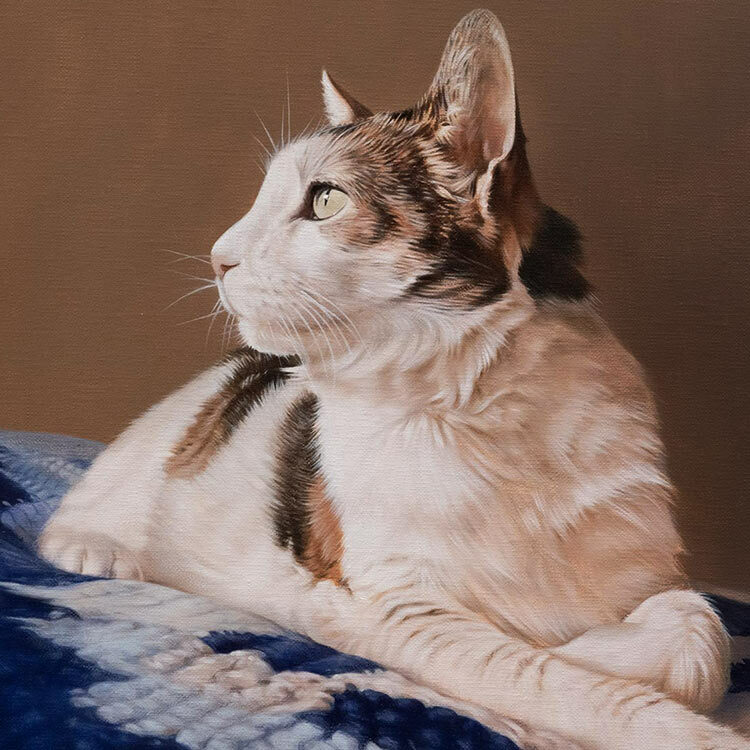 This is one of the reason we always try to encourage our clients to have their paintings framed with us. 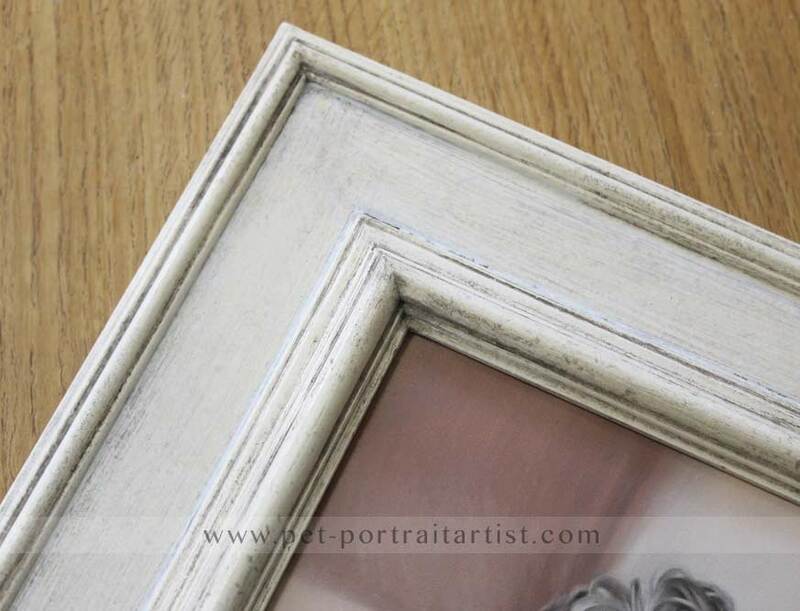 If you would like to have the Notting Hill frame for your portrait, just let us know by emaling us from our contact page and we will get a quote from our framers for you. I figured you were getting close to starting Dani (I have been watching your blog) and now to see that it is done! I can not think of anything I would want changed. Am anxious to see it hung on the wall next to Zack. Can't wait to see it. 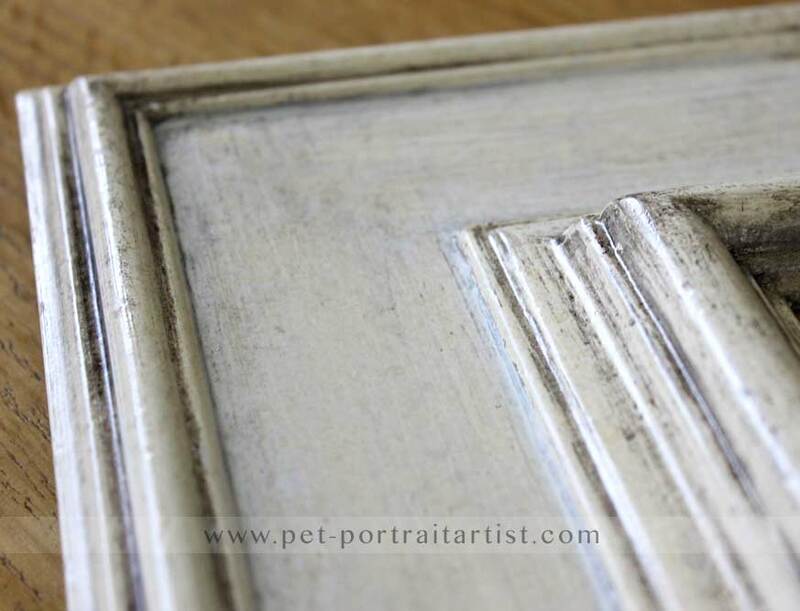 Our Ornate Pewter Frame is beautiful and is suitable for both oils and pencil pet portraits.